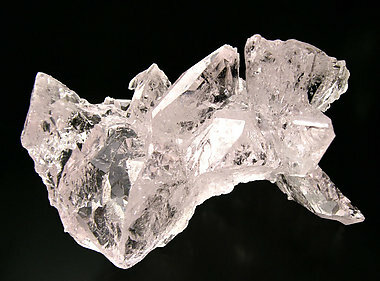 Curious group of crystals with dissolution forms that partially mask a large number of very well defined faces. Its color, transparency and, especially the luster are excellent. 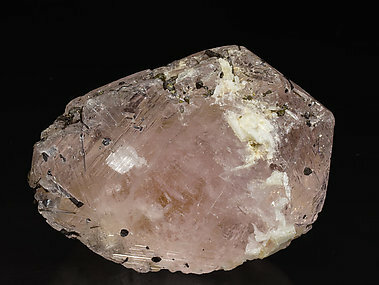 Thick tabular floater crystal of Beryl (Morganite), with completely transparent areas and of very intense pink color, with small crystals of Elbaite and with Albite (Cleavelandite). 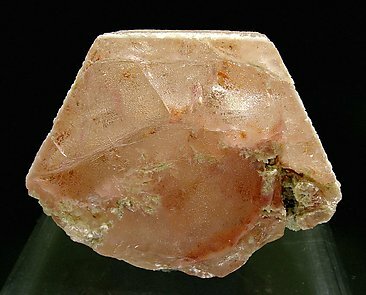 Really nice Morganite crystal with a considerable size. 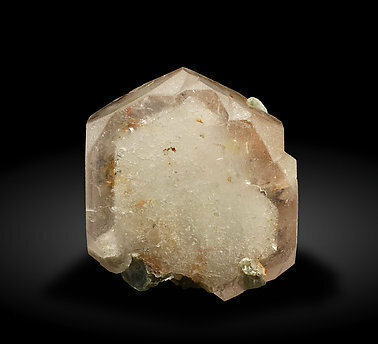 Some of side faces are partially peppered and covered by small Quartz crystals. Exceptional color especially notable when you contrast the specimen with a white background. 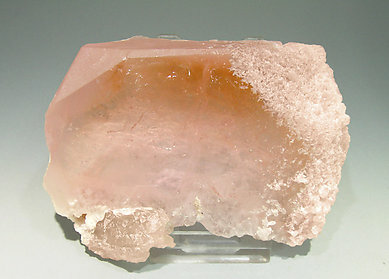 A museum specimen.